Congratulations, you are 20 weeks pregnant now! You have completed half of the journey of your pregnancy. Eating healthy, childbirth lessons, drinking enough water, petite maternity clothing, proper workouts, enough rest and a supportable pregnancy pillow can be the weapons to complete the remaining half of the journey. They say that the most dangers have passed when you are 20 weeks pregnant but important changes are yet to occur. You may get restless and sleepless as your baby grows and your life may become more complicated with you getting heavier. This is the week in which you must remember that your stress is stressing the baby; and of course, that your positive attitude helps your baby to grow. During 20 weeks pregnancy, engaging in a Lamaze course is a great way to get relief. 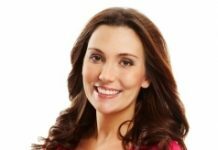 This course will teach you a wide range of alternative breathing and birthing techniques. If you are already under the course, then do these activities along with yoga or swimming courses. The Lamaze classes will teach you the essential coping strategies for labor, along with focused breathing, labor support, positioning, relaxation, massage, hydrotherapy and also the use of heat and cold therapies. Now the size of your uterus is approximately 18-22 cm. 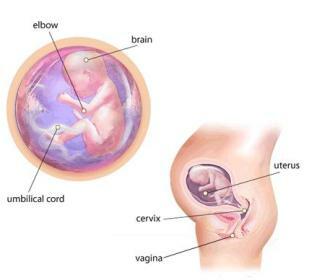 You feel slight itching when you are 20 weeks pregnant because of the stretching in your body. When you are in week 20 of pregnancy, your uterus will reach your belly button. Typically, the growth becomes regular from this point of time, so you can observe the regular changes in your belly. Your physician will measure the regular changes of your belly in order to know your baby’s growth and development. At this time your doctor will measure the fundal height and will keep recording the same. This will help your health care provider decide the time of your baby’s birth or your due date. But after the 32nd week of pregnancy, the fundal height will not be as clear. After that the doctor will have to use serial ultrasound to ascertain the growth curve of the baby. In case the fundal height is more than expected then the doctor might ascertain that either there are twins in your tummy or the baby might have to be delivered earlier since its growth is faster. If you are first time pregnant, the baby will drop or hold into the pelvis for few more weeks before birth and from then the situation will be normal. For the second pregnancy, this will not be the case until the baby’s birth. You can also hear your baby’s heartbeat with the help of a telescope called ‘Delee’ stethoscope. Some health care providers use this type of device instead of a Doppler device. Now, your partner can also hear the baby’s heartbeat by placing his ear against your lower abdomen. Despite the tiredness and the dreadful need to sleep, there are various sleepless nights that you will encounter. For all these tricky situations, the solution is buying a supporting body pillow.. The sleeping issues affect about 90% of the pregnant women around this time of pregnancy. The muscle cramps, especially the ones affecting the legs can wake you during the night. You don’t have to worry because this is just your body protesting against the extra weight it has to carry. The iron supplements and iron rich diet are very important from pregnancy week 20. Consuming foods rich in iron such as liver, beans and green vegetables can help a lot. Try drinking warm milk with honey or a cup of chamomile tea before going to bed to help you relax and get the night sleep you need. Hot flashes may appear during nighttime as you become restless and the hormonal growth doesn’t let you sleep. Make sure you keep the bedroom cool and wear comfortable cotton nightwear. By this week, your 20 week fetus is about the size of 10.5 inches in length and weighs about 10.5 ounces and the head of your baby seems larger in proportion with its body at this time. Your baby’s bones continue to ossify and become tight, while their toe pads and fingers are finishing up. The baby’s limbs are very near to reach their relative proportions. Now, your little one has the teeth buds, but they are hidden under the gum line. Breathing and swallowing is practiced on a daily basis now. Your little one’s cute lips are now more defined and they help in prenatal thumb sucking. When you are in week 20 pregnancy, the baby’s skin is gathering more layers, thus becoming more complex each passing day. By this week, heat producing brown fat will have already begun to develop on your baby’s chest, neck and in crotch areas. If your baby is a boy, then the tiny testicles of the baby are about to descend; however they do not yet exceed the abdominal wall. Now, the baby’s eyebrows and eyelashes are visible in 20 weeks pregnant ultrasound and at this point of time, the little one looks like a miniature baby. Your baby will have well developed sleep and wake patterns. The baby dreams during this time and the researchers found out it tends to respond to your voice if you speak to it. Consult your doctor for regular blood checkups. The blood pressure reading allows your doctor to know the safe level of you and your baby during pregnancy and also when you will be in labor. Generally, the blood pressure of more than 140/90 is considered as high, especially when you are in 20 weeks pregnancy. Get more information on what to expect when you are 21 weeks pregnant. Previous articleTips To Prevent Constipation During Pregnancy! Next article4 Exercises To Ease Pain During Labor! What kind of iron food i need to take at this time?can you post the diet list for me.